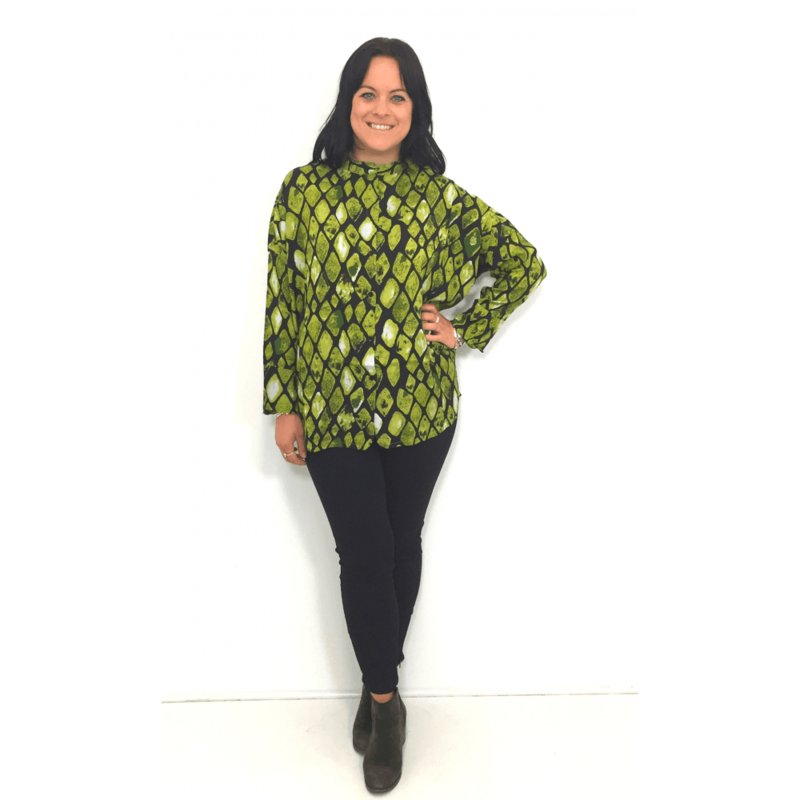 Add some colour to your outfit with this gorgeous lime green snake skin pattern blouse. With a stylish high colour and comfortable loose fit with front buttons. This lovely bright blouse is sure to get you noticed!